AMOLED technology is here to stay, so all the technical experts tell us, but what is AMOLED technology and what’s so special about it? AMOLED is an acronym that stands for the incredibly technical sounding Active Matrix Organic Light-Emitting Diode. Well, the active matrix is a rather grand way to say that the screen has layers. We have all become relatively used to the term LED, having had watches that first ran on LED displays in the eighties, and more recently some of our flat screen TV’s run on LED screens, often with a backlight for greater colour. The Organic Light Emitting Diode is a relatively new development. These organic compounds are lighter, malleable, flexible and more durable than their crystal based alternatives. They work under the same principle, with varying amounts of electricity causing the compound to light up in a variety of colours. And in combination with other layers, creates a full spectrum, appropriate for TV’s, monitors and more noticeably mobile phones. AMOLED displays take up less energy than their counterparts, as well as having a higher refresh rate, which is why Samsung have invested so much time with them to produce the Galaxy S. This incredible phone has a massive four inch screen and is considered by many to have the best colour of all the current mobiles on the market. 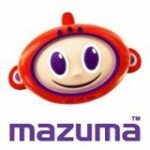 If you are thinking of buying a Galaxy S, don’t forget to sell your mobile with Mazuma Mobile. We will give you cash for mobiles and help you pay for that new handset.